Be one of the first to enjoy Joya Red in the world, as our latest brand is currently being distributed around the globe. We are giving away a box of each vitola size. You could win one, or all of them! The best of all? There’s no purchase required. The contest is dated from Sept. 9th to Sept. 24th. Every 4 days, we will do an electronic raflle to give away one of the 4 prize boxes. Every participant has the chance to win more than one time, so gather as many points as you can! Sep. 12th: 1 box (20ct.) of Joya Red Short Churchill, 4 3⁄4 x 48 (Winner: Joe Montes). Sep. 16th: 1 box (20ct.) 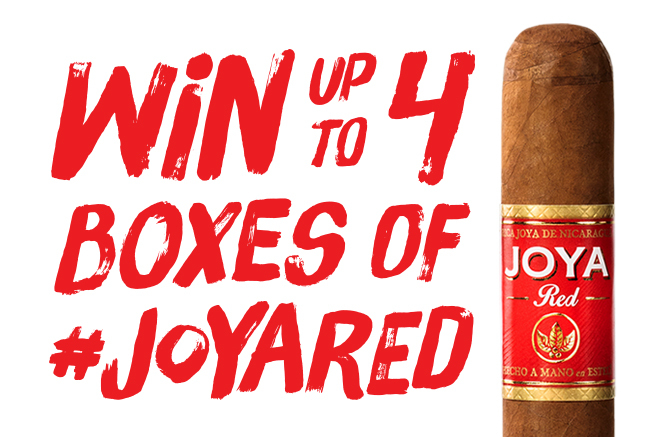 of Joya Red Robusto, 5 1⁄4 x 50 (Winner: Matt Smart). Sep. 20th: 1 box (20ct.) of Joya Red Toro, 6 x 52 (Winner: James Fisher). Sep. 24th: 1 box (20ct.) of Joya Red Cañonazo, 5 1⁄2 x 54 (Winner: Steve McHenry). *The name of each winner will be updated here next to the raffle’s date and its prize. No purchase necessary. Winner will be notified by email within 48 hours of of each drawing date. Must be 21 or older to participate. Winners will be asked for proof of age. 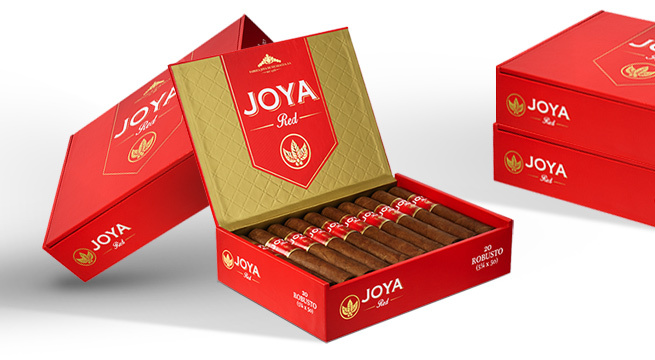 Watch this video to learn more about Joya Red.